Beef Tenderloin Carpaccio was one of the items that I swooned for on any menu when dining out, but never dared to make at home. 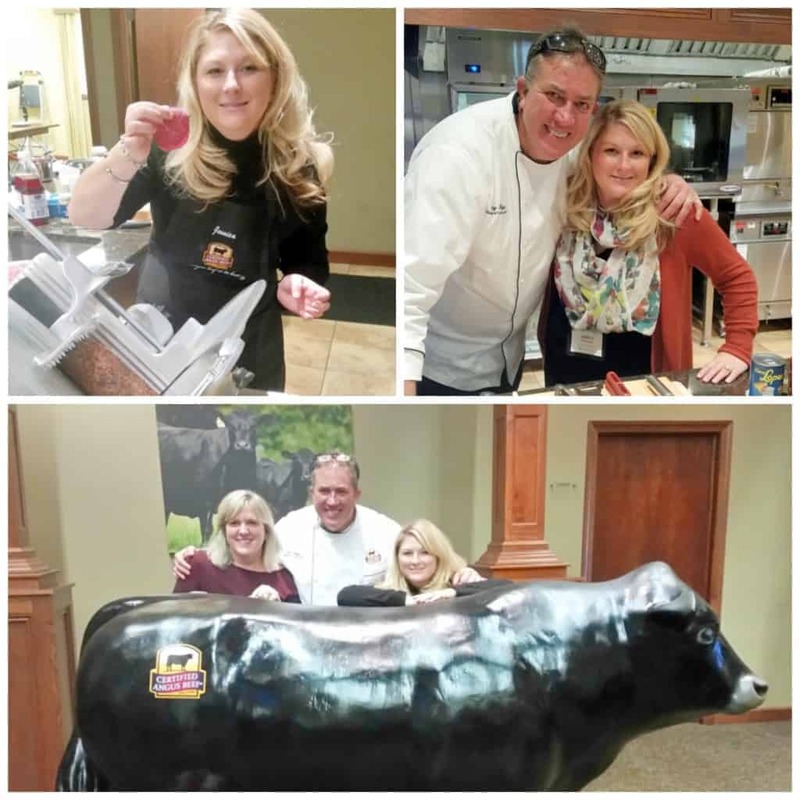 Never dared to make at home until Chef Tony Biggs of Certified Angus Beef® brand gave me the confidence! First of all, let me tell you a little bit about Chef Tony. 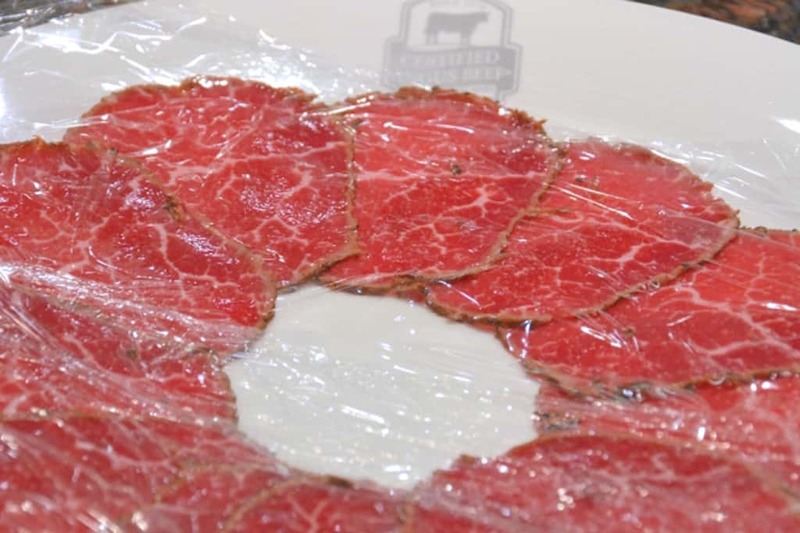 Learn how to make this Beef Tenderloin Carpaccio at home with a tangy side sauce! 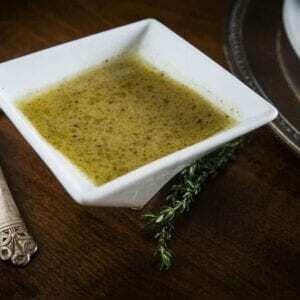 It’s a simple and elegant dish that can be added to salads or other appetizers! He is a world renowned chef, working as a personal chef to kings and queens and a contestant on Chopped, he now travels the world showing others how to expertly prepare beef and to explore new culinary trends. He is unpretentious with a big personality and an even larger heart and I had the pleasure of learning from him. He also has more energy than I’ve ever seen one person have, flying around the kitchen while his artistic mind rattles off spur of the moment ideas for something that is already in the oven. 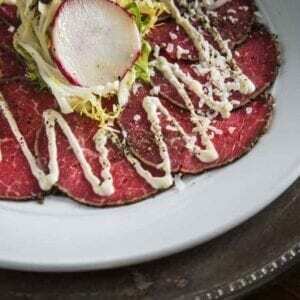 Although beef carpaccio is very, very rare, it is not totally raw. The outside is seared with a crust of spices and… ground coffee. Many folks are fearful of rare beef having bacteria, however the only place that could potentially have bacteria is on the outside because nothing has ever touched or contaminated the interior. Searing the outside kills any potential contaminants and freezing to slice also kills anything remaining. If handled properly, very rare beef is safe to consume. 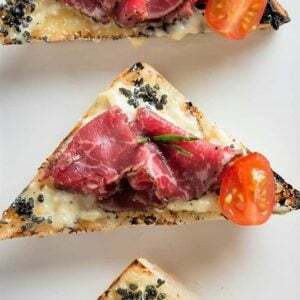 Beef Carpaccio is easy to prepare and can be done ahead of time. My version is made with a lean tenderloin, however you don’t need much when you slice it super thin. Buy one, use a piece for carpaccio and prepare or freeze the remainder. Carpaccio can be served with more than crispy capers. Try it with a Citrus Salad or on a Garlic Aioli Crostini. 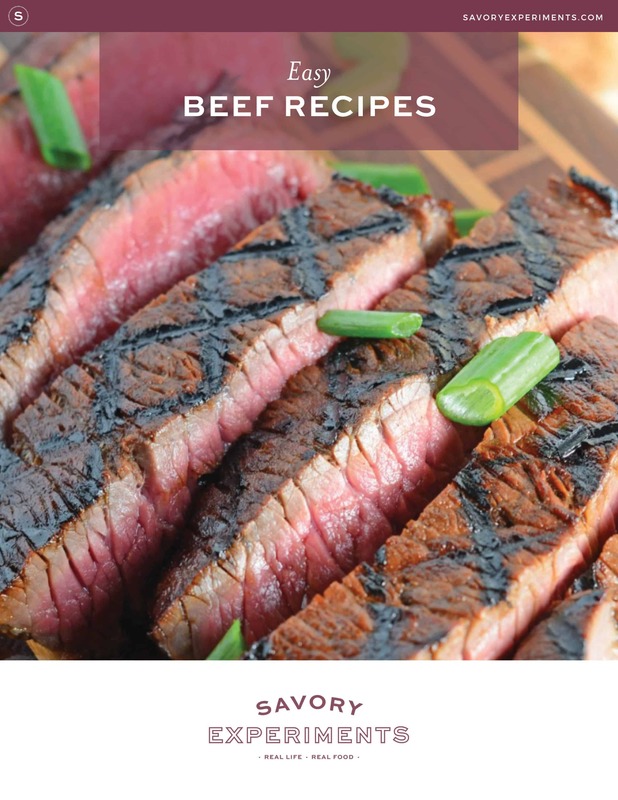 If you like beefy recipes, you love these! Learn how to make this Beef Tenderloin Carpaccio at home with a tangy side sauce! It's a simple and elegant dish that can be added to salads or other appetizers! In a small bowl, combine ground coffee through granulated honey (or brown sugar). Rub mixture into the beef tenderloin. Heat a large skillet with canola oil over medium-high heat. Sear all edges of tenderloin until just cooked and light golden brown. Granulated honey (or brown sugar) should have just caramelized, but not burned. The coffee will let off a heavenly smell. be mindful to not over cook! Remove and allow to cool until you are able to touch. Wrap tightly 3 separate times in plastic wrap, twisting edges like a piece of hard candy, in opposite directions. You want to be taunt so the meat freezes tightly. Place tenderloin in freezer for a minimum of 4 hours, but as long as 24 hours. Remove tenderloin when you are ready to slice. Allow to thaw for 30 minutes, but no longer. using a mandolin slicer or a really sharp knife and steady hand, slice as thin as you can possibly manage. Arrange on a plate lined with plastic wrap. Wrap tightly and store in the freezer until you are ready to serve. Remove only 10 minutes for serving to thaw. Drizzle with Dijon Sauce and freshly ground black pepper and sea salt. Want to see some other fabulous recipes from Certified Angus Beef Bloggers? Check these out! what happens with the ancho powder? i am presuming it is added to the coffee and sugar mixture. Yes, step #1 states to combine coffee through granulated honey, that includes ancho powder, sea salt and pepper too. I hope you enjoy this recipe. It is one of my favorites! Carpaccio with a Garlic Aioli Crostini or a citrus salad sounds delicious! I need to try this! This is a great recipe! Looks like a delicious dish! I love his quote! I won’t even cook it past that point and have lost friends because of it. 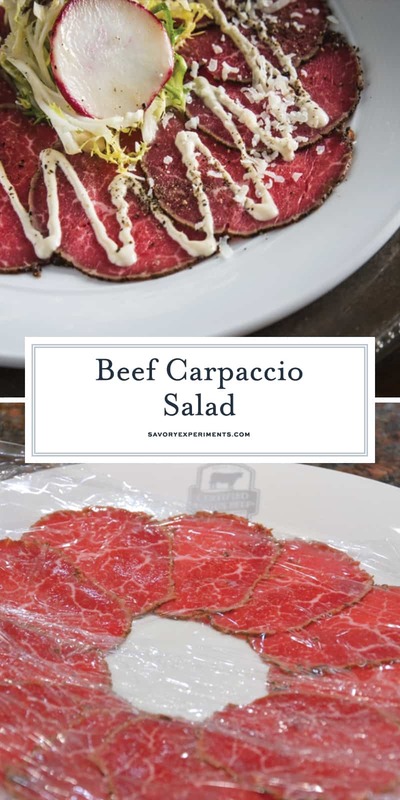 I always wanted to make beef carpaccio but was too timid. I’ll definitely give this a go very soon! Great recipe. I’m such a huge beef girl. I swear I must grill beef at least 3 times a week. This looks absolutely amazing. I want to grab the platter and run off before anyone sees me. Oh goodness that looks so good. I’m going to have to give that a try! I’d be scared to make it on my own too! So lucky you got to learn from a chef! If I had to choose one thing to eat for the rest of my life, it would be beef. I’ve always loved it and always will. Your carpaccio looks wonderful! I’ve been WAITING anxiously for this recipe to appear on your blog! It was crazy good and I can’t wait to make it at home! 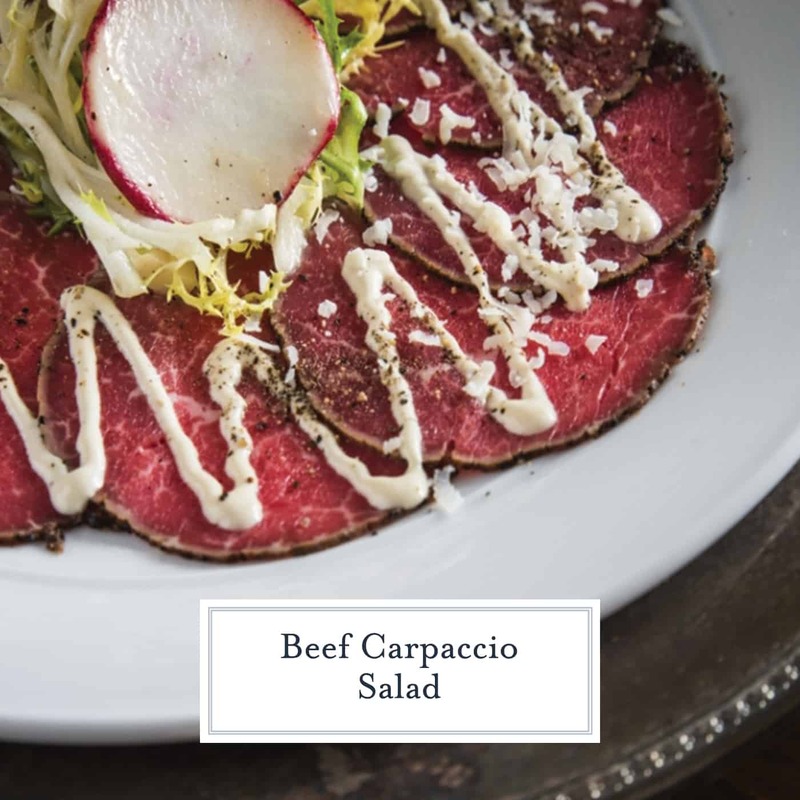 I’ve never had Beef Carpaccio but it does look wonderful! This looks absolutely delicious…my mouth won’t stop watering! 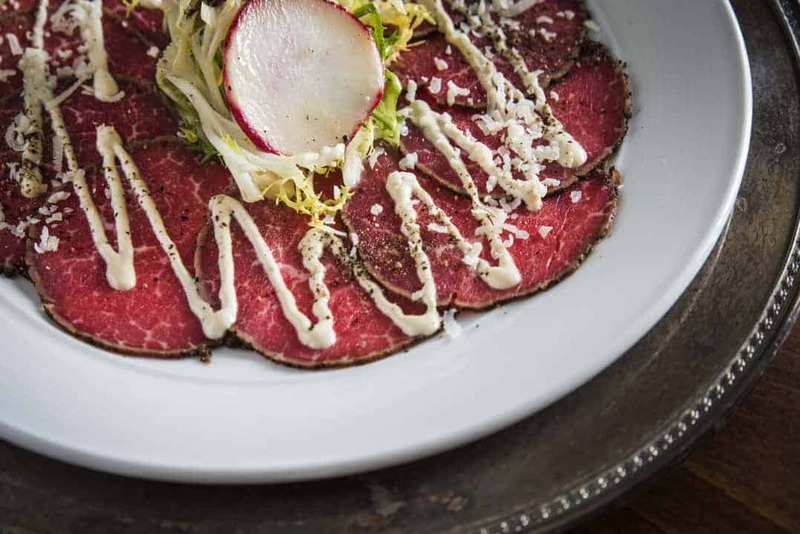 I first fell in love with beef carpaccio when I was working in a restaurant in my early 20s. I have to make this! This was amazing!! So delicious!